The number one trending fashion item since the start of the year isn't a hot-ticket Gucci bag or a pair of Chloé boots or even another knockout dress from Réalisation. Nope, it's an accessory you can find on Amazon and, what's more, one that will only put you back the same amount of money as the sales tax on your lunch order. I'm talking about a certain set of faux-pearl hair clips from the giant e-tailer that has been taking over the fashion scene as of late. 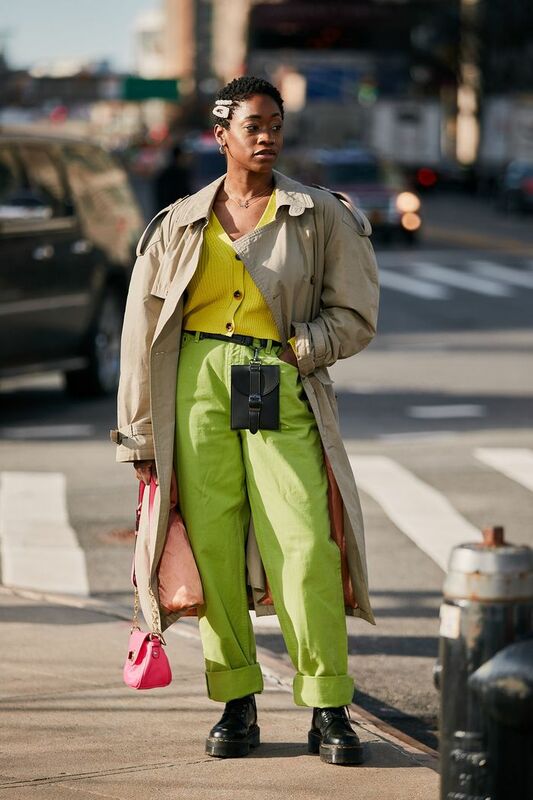 During NYFW, we spotted it at least 10 times in street style galleries, and it's been making the rounds on the Instagram feeds of our favorite influencers, not just in NYC but from L.A. to Australia and back again. Not to toot my own horn or anything, but back in January, I called out pearl hair clips as a micro-trend for spring and predicted that it would only be a matter of time until they blew up and became a bona fide trend with a capital T. Well, friends, that day has come. But unlike other It fashion items with price tags that make your heart skip a beat, the infamous Amazon pearl hair clips will only set you back a mere $3. (Well, $2.30 to be precise). Starting to sound too good to be true? To see how the hair clips are being styled on the street and on Instagram, keep reading, and then shop the clips for yourself (unless you already own them like I do). Next, find out what my mom, my hairstylist, and a 4-year-old had to say about the hair clip trend.